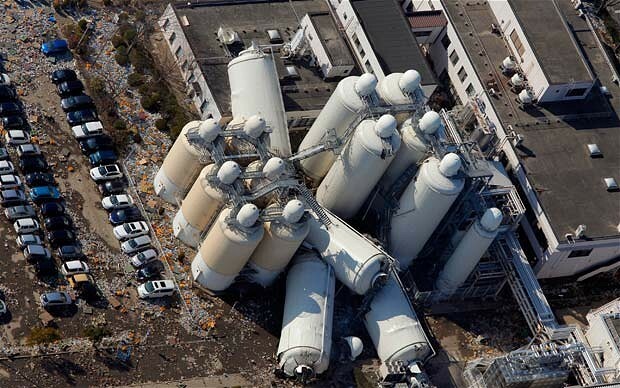 As Japan slowly recovers from the worst earthquake and tsunami in recent history, the rest of the world may feel the aftershock as chip shortages and price spikes are likely to occur due to the massive disruption to the global supply chain. Damages to the electronic production facilities may be relatively negligible but the Japanese companies are currently facing problems shipping components, receiving raw materials and getting workers to their facilities. Moreover, power interruptions are also causing a major impact on the operations of manufacturing facilities, slowing production. iSuppli reports that the components impacted will include NAND flash memory, dynamic random access memory (DRAM), microcontrollers, standard logic, liquid-crystal display (LCD) panels, and LCD parts and materials. If you could care less about these components, here’s a clearer picture: a possible price increase and/or shortage on tablets, smartphones, laptops, gaming consoles, desktop computers, televisions, or just about anything with computer chips, not only in Japan but for the rest of the world. It is also worth mentioning that Japan is the world’s largest supplier of the raw silicon ingots that are used to make the widely-used semiconductor chips. Disruption of its supply due to the logistics and electrical problems may cause an impact on other electronic components as well. Reports say that infrastructure challenges will halt or slow shipments from Japan for about two weeks. The global supply chain has about just as much excess component inventory in the pipeline so shortages may not appear until the end of March or the start of April. It is said, however, that the shortages and price impacts could linger until the third quarter.